The main objective of the report is to analysis Credit Management of Rajshahi Krishi Unnayan Bank, here focus on the lending program for the period 2001 to 2004. Other objectives are to assess the condition of credit management system and to assess the loan disbursement position of Rajshahi Krishi Unnayan Bank during 2001 to 2004. Finally assess the loan recovery position of the Bank during 2001 to 2004. To assess the condition of credit management system of Rajshahi Krishi Unnayan Bank. 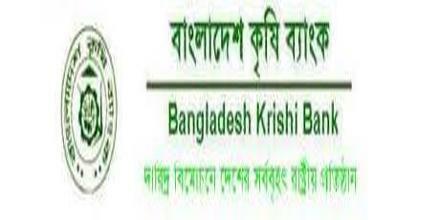 To assess the loan disbursement position of Rajshahi Krishi Unnayan Bank during 2001 to 2004. To assess the loan recovery position of Rajshahi Krishi Unnayan Bank during 2001 to 2004. Current account: From this account any amount is deposited and drawn in any time of office hours. There is no interest on current account. Loan is sanctioned based on it. This account is opened with a recommendation Tk.1000. Total amount of current A/C in of Rajshahi Krishi Unnayan Bank is Tk 7050000 on 27th February, 2004. Savings Account: Savings accounts opened for the customers except companies or firm and co-operative society. Money is withdrawn 2 times a week and deposited any time of office hours from this accounts Tk.50 is required to open this account. There is 4% interest on saving account. Total amount of saving A/C in of Rajshahi Krishi Unnayan Bank is Tk.9388000 on 27th February, 2004. Short Term Deposit Account: Short- term deposit account is opened for company/firm/government administrative body. This account is operated like current account. If 7 days written notice is placed to the bank in every withdraw, then the bank gives 2.5% interest on S.T.D. In the present time the total amount of STD A/C in of Rajshahi Krishi Unnayan Bank is Tk.3680000 on 27th February, 2004. Deposit Pension Scheme (DPS): In this Savings Scheme a person is given an opportunity for getting an attractive amount at the end of the specified term. The size of monthly installments is Tk.100, Tk.200, Tk.300, Tk.400 and Tk.500 which is to be deposited within 1st week of a month. This scheme is not operating in Rajshahi Krishi Unnayan Bank rather the old account is continuing. There is 15% interest of D.P.S. Fixed Deposit Receipt (FDR): This is a deposit Scheme where an instrument is issued for the full amount payable after a specified period against deposit of a certain amount. Enhancing self-motivation of the bank employees. Introducing need-based and output oriented training. The management of specialized banks assets must be conducted in a profitable and safe manner. Safety is essential to commercial banking since banks hold billions of Taka of deposits of individuals, business, and governments. Profit is also necessary for the successful operation of a bank. Lending is the most profitable as well as the most risky function preformed by specialized banks. Therefore, it must be done efficiently and with a minimum of loss so credit management is essential for the bank. 10) Other Tools Machines credit. a) Short term loan: A short-term loan is the loan, which is fully repaid within one year or below one year. b) Medium term loan: Medium term loan is the loan, which is fully repaid within more than one year to five years. c) Long term loan: Long-term loan is the loan, which is fully repaid more than five years. In the case of advances sanctioned by way of overdrafts, the customer is sanctioned a limit up to which he can over draw his current account within a stipulated period In case where the customer can not offer any kind of security expect his personal security the facility is termed as a clean overdraft, on the other Hand, where the customer offers a security acceptable to the bank facility is treated as a secured overdraft. Doubtful loan are those that are considered by bank examines to be doubtful of repayment, such loans are considered to contain some loss but the amount cannot be ascertained. Lending is the one function of specialized banking. The successful banker is a successful lender. The tools used to manage lending are credit analysis, budgeting and supervision. Lending also has to be enlightened by a competitive but reasonable policy for interest charges on loans. Credit management in banking is mainly liable to its concerned authority. At any cost they have to bind to keep its funds in safety and returnable with maximum profit from the investment. a) Food Crops : Paddy, Wheat, Potato, Sugarcane, Master seed, Sunflower seed, Ginger, Onion, Water motor, Winter/ Summer vegetables, Banana, Mango etc. b) Cash Crops : Jute, cotton, Tobacco, Betel leaf etc. c) Processing and Marketing : Small and cottage industries, Marketing capital etc. d) Agro-based industries project : Rice/has king mills, flour mills, Dall (pulses) Mills, Fruit processing industries, Light earning work shops, Ice plants etc. e) Commercial loan : Loan against fertilizer and pesticide, cash credit loan for agro- products and small enterprise etc. f) Live stock : Draft animals, dairy, Poultry, Goatery, Beef fattering etc. h) Farm machineries : Power tiller, Tractor and other machineries. i) Micro credit : RSCP, SECP. j) Special agricultural activities : Fishery, Orchard, Nursery etc. k) Others : Loan against fixed deposits. Disbursed loan is funded from the foreign aids. The variation of interest rate hinge upon credit program and tenure of the loan. It is known to all that the strong base of Rajshahi Krishi Unnayan Bank is totally dependent on sound investment. As because interest on loan is the main source of income. That is why qualitative loan disbursement is so much important as well as quality to increase total income of the bank. Based on information available in the appraisal report, credit report, leg mate credit, Needs of the farmer client should be carefully analyzed by the sanctioning authority. Before according section analysis of status of application, credit worthiness liabilities, project viability from technical, financial, economic, Marketing and management point of view. As soon and the security is finalized and the sanctioning authority is satisfied he should proceed for sanction of loan advance. For co-operative society it must be registered. After the loan or advance become effective, the manager should ask the borrowers promptly to comply with the loan covenants stipulations and execute the documents. Correct documentation is essential securing safe repayment of loan and advances. Rajshahi Krishi Unnayan Bank maintains the security listed below in recovering the loans without risk. Lien: It’s a right to retain the property / goods of the borrower as security until the debit are adjusted. In this case the banker can only hold the possession of the goods he cannot sell them. A banker’s lien is a general hen. He can sell the securities under lien after giving reasonable notice to the borrower. Pledge: Pledge is created only for movable property like goods document etc. In case of pledge the ownership of the goods remains with pledge but the possession of the goods vests with pledge until the loan is recovered. Pledge does not occur until the goods are transferred. The pledged goods are returned to the owner after the loan is adjusted. If the borrower fails to repay the loan the banker can sell the pledged goods after giving reasonable notice to him. Mortgage: Only the immovable properties are kept under mortgage. It is a method of creating charge on immovable properties. Hypothecation: Hypothecation is nothing but the mortgage of movable property. It is an extended idea of pledge. In this case both possession and ownership remains with the borrower but by the hypothecation agreement he undertaken to transfer possession whenever required. Here the lender possesses the right of a pledge. Hypothecation is very much risky and Rajshahi Krishi Unnayan Bank does not want utilize this method for creating charges. Loan affectivity terms and conditions as to collateral security and equity of the borrower shall be fully met. Specified documentations as specified in the sanction letter must be completed. Verification of encumbrances of security properties. With in 21 days from the date of creation of charge, by registered post to the register, joint stock company. Assets creates or to be created out of a loan fund or with two equity. Stock of goods pledged with the bank as collateral shall be taken with appropriate risk cover. Any other stipulations as per sanction letter. Under its charter, the bank is required, as for as possible, to ensure that a loan is spent on the purpose for which it is made, and if this requirement is not complied with by the borrower, the bank may require the repayment of the loan forthwith. Primary responsibility of the manager is to supervise and monitor the cash loan/WCL project and term loan stage by stage, ensure project constriction work, acquiring kind items and project goods as per approved arrangement specified in the sanction letter. Bank finance project should be inspected by the regional manager and manager periodically, to assess physical conditions of the projects facilities and the level of the project’s capacity utilization. Cash loans are liable to misuse for non-productive process. Special attention must, Therefore, by given on borrowers past antecedents. When releasing cash loans. When substantial cash amount is required to be drawing by a borrower for civil works of a project, WCL for requiring goods the managers must be particularly. Vigilant on the usage of loan. Total responsibility for credit super vision of cash credit/WCL lies with the manager. The manager should deploy a project supervision officer after documentation is release of first loan installment with the assignment of over all project supervision the duty of the PSO has been laid down in Ch: 25.07. The PSO should be stationed in the project site or nearby and see for himself the project developmental work and inform the progress to the manager through progress report predictably. After inspection, the manager/authorized officer should countersign the Borrower’s acknowledgement receipt under his signature and seal. Only after such counter-signature in the Borrower’s acknowledgment receipt, supplier’s bill con is processed for payment the branch should complete the verification of goods supplied by a supplier with a week and process payment of supplier’s bill promptly when the same is in order. b) Loan disbursement for 2000-2001. Rajshahi Krishi Unnayan Bank projected lending target of TK 103.50 Lac. Disbursement of loan during the year amounted to TK 116.37 Lac (112.43% percent of the target). For a reform expansion of the loan portfolio the following seven sectors were given priority in investment planning. The highest amount of TK 38.52Lac was disbursed for Poverty alleviation. The next highest amount at TK 36.19 Lac was disbursed for Crops such as rich, potato, sugarcane etc. Loan disbursement at livestock, Irrigation equipment and farm machinery and Continuous more than the target, there was no Loan disbursement at Agro-based industries sector. Rajshahi Krishi Unnayan Bank projected a lending target of TK 141 Lac for the financial year 2001-2002. Disbursement of loan during the year amounted to TK 141.19 Lac (100.13 percent of the target). For a reform expansion of the loan portfolio the following seven sectors were given priority in investment planning. The highest amount of TK 45 Lac was disbursed for crops as rice, potato Sugarcane etc. The next highest amount of TK 44 Lac was poverty alleviation. Total disbursement was TK 37.50 Lac higher than that of the previous year. Position of Loan disbursement for the financial year 2002-2003. (Amount in Lac TK). Rajshahi Krishi Unnayan Bank projected a lending target of TK 761.77 Lac for the financial year 2002-2003. Disbursement of Loan during the year amounted to TK 167.39 Lac (22 percent of the target). For a Reform expansion the Loan portfolio the following seven sections were given priority in investment planning. Crops · Continuous · Poverty alleviation. · Fishery · Livestock ·Irrigation equipment and farm machinery · Agro-based industries. The highest amount at TK 47.39 Lac was disbursed for Crops, the next highest amount of TK 44.95 Live stock. Total Disbursement was TK 26.20 Lac higher than that of the previous year. Position of disbursement of the financial year 2002-2003. (Amount in Lac TK). Rajshahi Krishi Unnayan Bank, Projected a lending target of TK 365 Lac for the financial year 2003-2004. Disbursement of Loan during the year amounted to TK 167.25 Lac (46 percent of the target). For a Reform expansion the Loan portfolio the following seven sections were given priority in investment planning. The highest amount of TK 45.70 Lac was disbursed for Live stock. The next higher amount of TK 41.65 Lac as disbursement of cash credit. Total disbursement was TK 0.2 Lac lower than that of the previous year. Position of disbursement of the financial year 2003-2004. (Amount in Lac TK). Unclassified loan: When half or more than half of the total loan is repaid within the due dates by the borrowers then that is called unclassified loan. The duration of time in which the loan will be treated as unclassified is less than 12 months from sanctioning loan. Age of over due, 12 months Irregular. Age of over due 36-60 months Doubtful. Age of over due: Above 60 months Bad. From 6 months but less than 9 months- Substandard. From 9 mouths but less than 12 months-Doubtful. From 12 mouths above Bad. From 9 months but less than 12 months- Doubtful. From 12 months above- Bad. From 0 months but less than 6 months- Substandard. From 6 months but less than 12 months- Doubtful. From 12 months but less than 18 months – Bad. From 0 months but less than 12 months-Substandard. From 12 months but less than 18 mounts – Doubtful. From 18 months but less than 24 months-Bad. Issue of demand notice: Demand notice is issue before on month being due of out standing loan or installment. It is sent to the borrower. Legal notice: It the borrower does not repay their respective loans and interest after maturity being received the demeaned notice under registered with acknowledgement by post to the borrowers the bank should send lower notice to him. Special notice: Beside the above to notice a special notice signature by DC, TNO is sent to the respective borrower to keep mental pressure on him for repaying the loan. Field recovery: Loan officer recover the recovered loan through I.O. receipt by visiting the spot and source of the borrower. Personal Communication: If the borrower fails to repay his loan installment, the loan officer communicates with the respected persons of that area to give mental pressure to the borrower so that he repays his respective loan. Loan Recovery Camp: Rajshahi Krishi Unnayan Bank made camp in various areas for the recovery of his loan, in this issue; the manager and other officer were present in the camp and communicated with borrowers. They gave them moral persuasion and tried to encourage them, so that they could repay their loan. Loan recovery with the help of interest exemption the loan amount which becomes more than double in principle and interest and which is not possible to recover with the help of legal action then those loan can be recovered by exempting interest. By this way bad loan can be recovered. Unwilling to repay loan although he is financially solvent. Natural calamity destroy the crops, for this reason the loan unable to pay loan in due time. Rajshahi Krishi Unnayan Bank cannot take proper step against the loan for influential man. The loan cannot use the loan in proper. The loan do not pay loan in more time. i) Negative attitudes of the local elites to repay loan- In most of the cases, the influential persons due to their political and social power are not interested to repay the loan. Because to their political influence, credit officers cannot take any effective measure for loan recovery from them. Sometimes, loan received by them for a specific purpose is also diverted to other purposes. ii) Damage of crops due to flood- Sometimes, the farmers have some valid reasons for non-repayment of loan in spites of their willingness of repayment of loan. In the case of crop failure due to natural disaster like flood, drought, etc., it becomes really difficult for the farmers to repay loan in time. iii) Unproductive use of loan- The time involved in processing loan is such that the farmers usually receive credit at the end of the specific crop season even after harvesting of the crop. For that matter, credit does not help in increasing production rather it is actually spent for non-farm expenses. iv) Shortage of credit personnel- The branch has shortage of manpower to evaluate credit worthiness of the borrowers, identification of real borrowers, and supervision and recovery of loan. v) Lack of legal action by the banks against defaulters- Neither the Bank Manager nor the supervisor has any authority and power to take effective measures or administrative action against defaulters. For that reason, the defaulters do not bother for requests of loan repayment by them. Moreover, legal action against defaulters has rarely been taken. vi) Corruption of the bank employees- In some cases, the bank officers take bribe from the defaulters and avoid responsibilities of realization of loan from the borrowers. vii) Inability of the farmers to repay loan- Farmers need credit not only for agricultural production but also for consumption for their survival, particularly by marginal farmers. This sometimes compels them to divert agricultural credit to consumption and other unproductive purposes which ultimately lead to their low repayment capacity. viii) ‘Benami’ loan received particularly by U.P. chairman/Member- Sometimes the rural influential, particularly Union Parishad Chairman and Members receive ‘Benami’ loan. It happens particularly due to shortage of credit personnel who have to disburse credit in a short notice and do not have enough time to identify genuine borrowers. ix) Accessibility to alternative credit institutions- There are a number of credit institutions which are working independently. So non-repayment of loan to one institution does not affect in receiving loan from another institution. x) Evaluation of banker’s efficiency- Performance of bank personnel is judged on the basis of amount deposited by him, not on the amount of loan recovered. Further, there is practically no incentive for him to increase recovery amount. xi) Inadequate training facilities for credit officers and their qualifications- The persons involved in agricultural credit operations in rural bank branches have poor educational background with inadequate training. Banking training programmer has hardly anything regarding an agricultural credit operation which affects loan recovery performances of the Banks. Comment: From the above table it is shown that Poverty alleviation loans is the highest achievement amount of TK 45.68 Lac which is 43.76% of the total achievement and fishery is the lowest achievement which is 0.26% of the total achievement. Others recovery items is not considered here. Comment: From the above table it is shown that Crops loans recovery is the highest achievement amount of TK 45.94 Lac which 34% of total achievement and Fishery is the lowest achievement which is 0.36% of the total achievement and there is no target and achievement in the irrigation equipment and firm machinery sector. Others recovery items are not consider here. Comment: From the above table it is shown that Crop loans recovery is the highest achievement amount of TK 38.42 Lac which 35.52% of total achievement and Fishery is the lowest achievement, which is 1.25% of the total achievement. Others recovery items are not consider here. Lack of proper mortgage against loan. Insufficient fund of the bank. Loans are not disbursed properly as a result of the dishonesty of the officers. Sector wise loan disbursement performance scenarios are much fluctuated. The loan recovery is hindered due to Flood, thunderstorm etc. Some time the loan-less recover show their unwillingness to pay the loan in order to have various advantages form the government. If loan disbursement is not in accurate time, borrowers will not be able to use that loan in particular sector, As a result loan recovery will be impossible. The notice are not issued just time, for this reason some time the recovery of loan is disturbed. Lack of proper planning and inefficient -fund management. Loan is not paid through proper assessment. Process and procedures of lending should be liberalized keeping in view the problems and constraints faced by the borrower. Better publicity, Seminar and workshop on loan and advance may brighten the situation highlighting the needs, and problems of the borrowers. Virtually for the interest of the borrower and intending borrower, more funds should be shifted to this branch considering the needs and requirement of that branch. Steps should be taken to solve the problems of the borrower. Spot investigation for loan allotment. Prompt services are given to the borrower. Strong monitoring should be ensured for proper utilization of loan. To remove the limitation of managerial activities. To take proper legal action against defaulter loan. To increase awareness of loan about refunds the loan. Credit Management is the principal function of a bank and large portion of bank income generated from loan disbursement and recovery. Bank should always remember that his dealing loan by money collected from others bank and depositors should always not only be attractive to higher yielding loan proposal but also bank should seriously think about whether the granted loan will be recovered timely or not. If bank once fail to recover loan will fail to meet depositors demand. This branch has not yet produced better performance in recovering those loans given to small borrowers. The major causes behind this low recovery are poor implementation of loan procedures and policy by the bank. The branch should take care of this very important aspect to baking for its smooth survival in the coming days. So, we can say, that the overall efficiency of credit management system is not highly satisfactory position. But another hopeful news is to us that the Rajshahi Krishi Unnayan Bank has begun to earn profit.